The three major themes of this weekend were snow, Sven and security concerns. I have taken a decision to concentrate on the first two if that’s okay. I’m not up to the task of responding to the third one, you can get that from people who know way more about it than me. Snow. 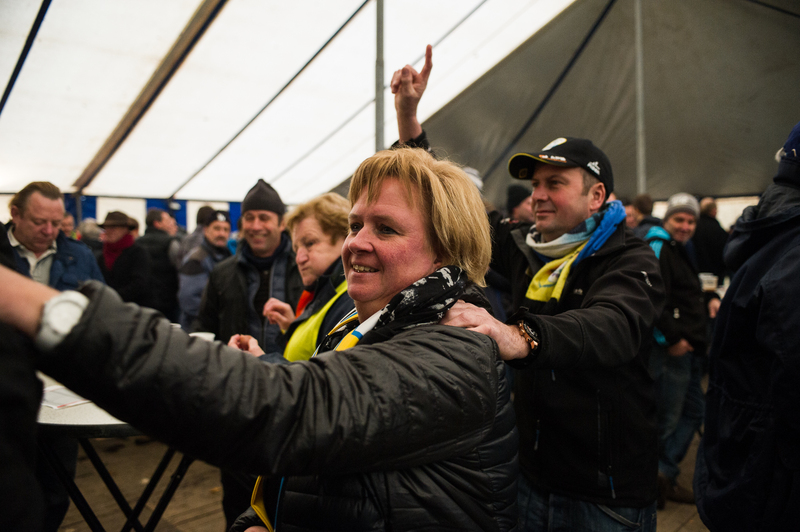 It wasn’t just cold in Hasselt, it was wet too. 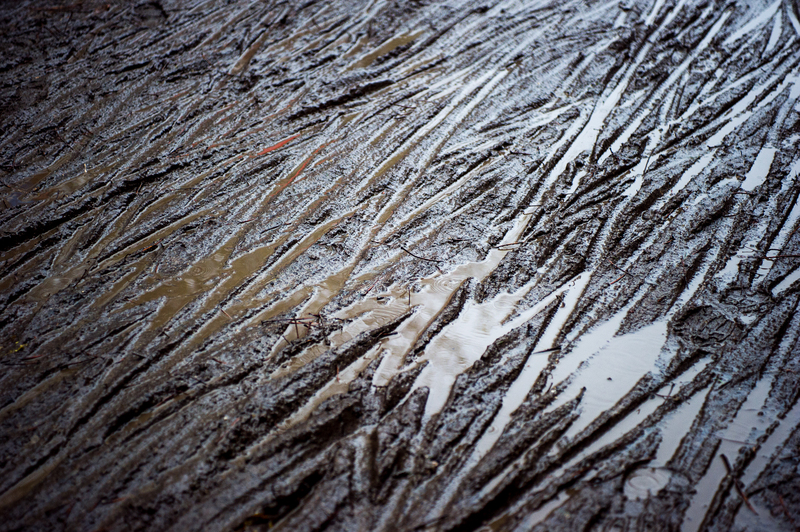 Once it started just after the Junior race, it didn’t really stop raining, sleeting and snowing until the evening. 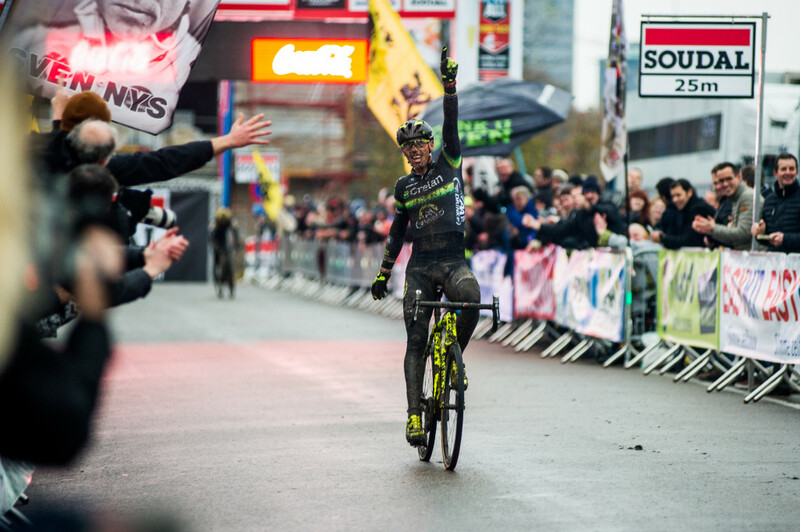 This is okay though, because if there is one thing a cross crowd knows how to do, it’s make the most of a freezing, wet cross race. 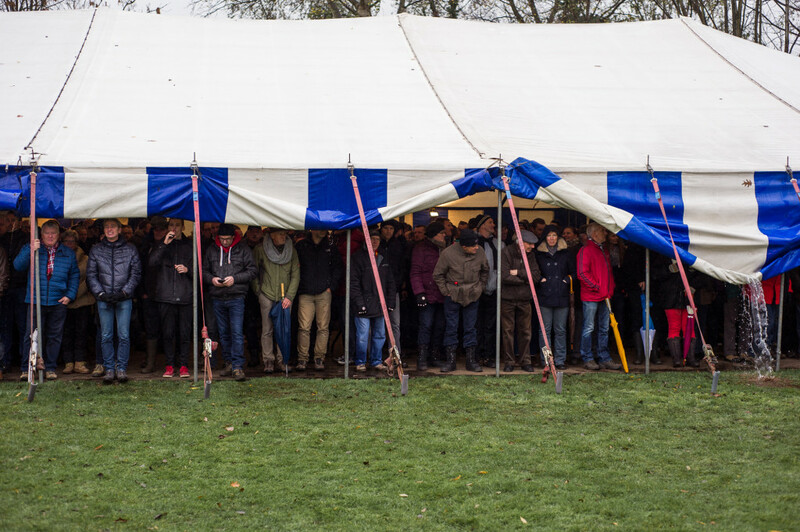 It’s a proven fact that there is no more effective way to feel warm than to get drunk and conga round a tent to folk songs. Sven. I’m a big Sven fan. Not a takes a huge flag to races, crushes plastic cups when he loses, cries when he wins, waits outside his motorhome for hours incase he’s about and the team staff have got to know your name, type fan. But I admire him as an athlete and it was great to see the old Sven back again. Even if it turns out to be only for a brief while. He outclassed everyone in Hasselt, doing things the others couldn’t, then had enough to get the better of a full strength field in Koksijde. It’s the only time in three years I’ve been at a race he’s won, and may well be the last. Nice one Sven. Actually, there were FOUR major themes of the weekend. 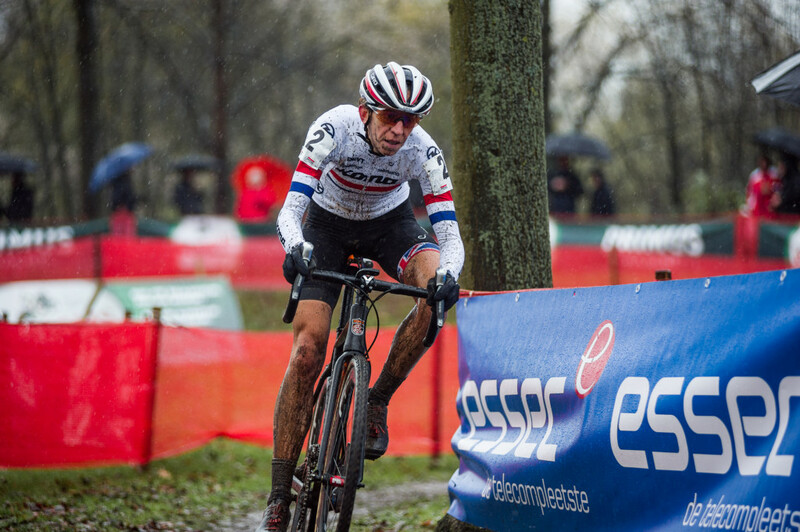 Snow, Sven, security concerns and sss…Mathieu Van der Poel. It was great to finally have some World Champs stripes back racing. With PFP away at the moment and Michael Vanthourenhout graduating, there hadn’t been any at all. 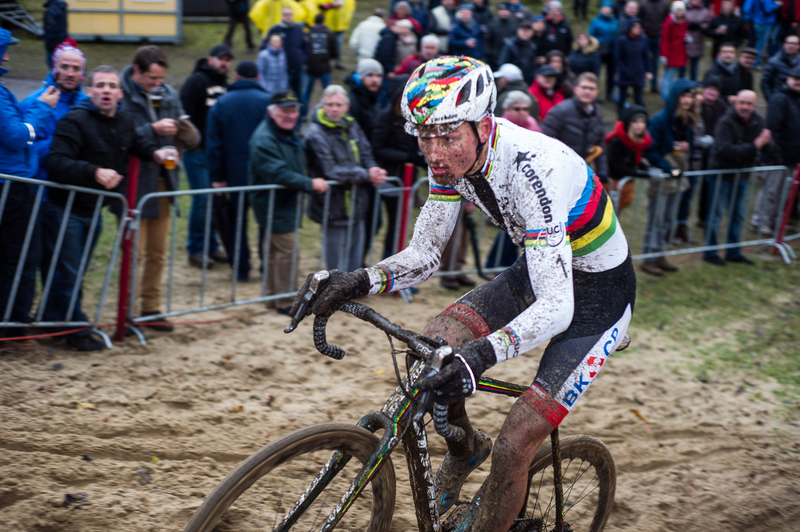 Whats more, he seems in pretty good shape, so the rest of the season could be a bit more of a fight for Wout. 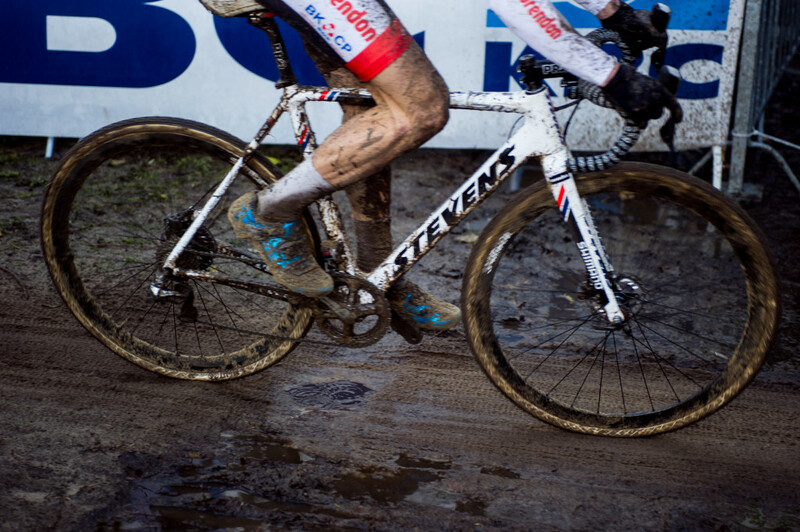 I’m not due to get out to another race till Scheldecross and Namur next month, but after this weekend, I cant wait.